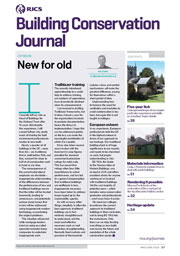 Journal summary: Building Conservation Journal is published bi-monthly and distributed as part of the Building Surveying Journal internationally to RICS members, including the Building Conservation Forum. The journal aims to help conservation experts with the technical and professional aspects of their day jobs. 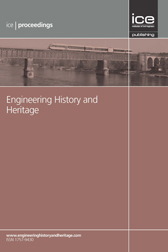 It includes articles ranging from the value of heritage, traditional materials and new research techniques, to interviews with leading conservation professionals, reports on key projects and conservation management issues.